Practice the little things! Hunt for hidden assumptions when leaving the comfort zone. This is the fourth part of a short series on how to go about pushing your comfort zone and trying new stuff. Week 1 was about why it’s a good idea to leave your comfort zone. In week 2 we explored how our fear of getting it wrong can hold us back, and how to move past it. Last week was all about starting from where you are instead of waiting for perfect timing or conditions. This week is about finding hidden assumptions and practicing all the elements that will make up your activity. This time I have for you a cautionary tale about the dangers of hidden assumptions, and the vital importance of remembering to practice the little things. This is a water bottle. 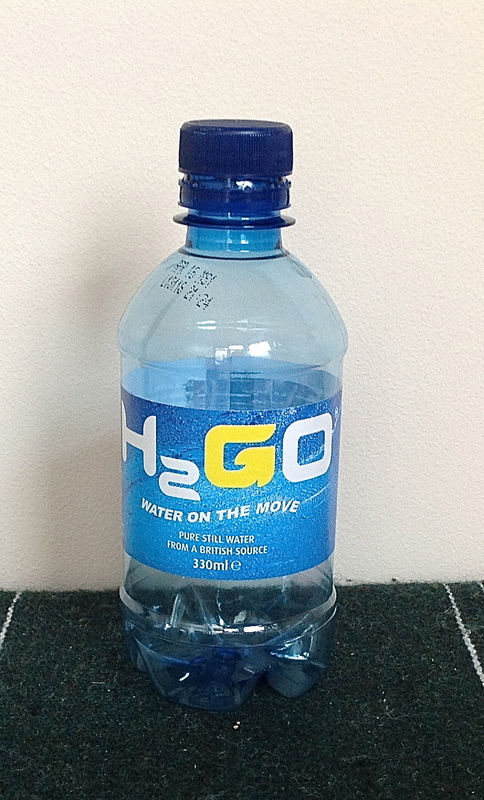 It is, in fact, the bottle that I received at the end of the Bristol 10k. Like all the other runners, I received a similar one during the race, about halfway through. Some of them poured the water over their heads. Most of them drank from the bottle. I didn’t do either of those things. I did something far sillier. You see, when I was training for the run, I never ran for very long. The longest time period was about an hour. And because I was training in my local park very close to my house, I never bothered to take a water bottle out with me. If I got thirsty on a longer run, I would just detour back home and grab a glass from the cupboard and pour myself some water. But during the race, I wasn’t close to home. And I couldn’t detour for a nice, civilised glass. When I got the water bottle, I very quickly realised something. I hadn’t practiced drinking while running. The water went over my cheeks. It went down my chin. It went down my front. It went pretty much anywhere except my mouth. It had simply never occurred to me to practice drinking while running. But during the race it became clear that it was part of the race plan that I hadn’t thought about at all. I discovered that I had hidden assumptions about my ability to drink on the run. And I was wrong. And it’s the little things that get you. When I was coaching a student recently for some practical exams, the student had thought about everything… Except for the order in which he was going to speak to the participants in the test, and how he was going to order his time in the simpler stations that formed part of the test procedure. It seems like a small thing, but it could be vitally important. It is really tempting to concentrate on the big things, like the training runs. And they need attention. But the little things need attention too. Why? 1. Little things are part of a whole. Part of the way we handle big new experiences is to break them up into easier-to-handle pieces. Each piece is important. If we haven’t prepared all the small pieces, we haven’t fully prepared the whole. In fact, if we’ve neglected a little thing, it frequently indicates that we have hidden assumptions lurking, and they might have large consequences. So, more than a month after the race, I keep the water bottle. It is a reminder to me of how little things really do matter. What little things do you need to take account of today? * FM Alexander, The Use of the Self, IRDEAT edition, p.417; p.433.